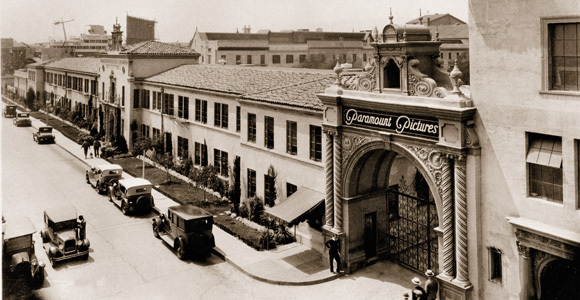 Paramount Pictures studios at the begining of the Golden Age of Hollywood. Image Source. The Depression left a lasting impression on American history. Despite the economic downfall and budget cuts made by film studios, the film industry’s techniques and ideas created during this period influenced the way films are made today. This began the Golden Age of Hollywood. Sound was first introduced and famous film genres: westerns, screwballs, romantic comedies, and musicals, and some of the greatest films ever created were made during the Golden Age of Hollywood (King Kong, 1933; Gone with the Wind, 1939; Casablanca, 1942; It's a Wonderful Life, 1946; The Searchers, 1956). The five major studios: MGM, Fox, Warner Bros., Paramount, and RKO were turning out multiple films every week. 60-90 million people went to the movies every week during the Depression, making in one of America’s greatest past times. The average movie ticket price during this period was 25 cents, but Americans were willing to spend the money. Films were a way for them to escape the repercussions of the Depression and identify with the characters. Movie going is still one on America’s greatest past times, and the FAC's John Steinbeck Film Festival is one avenue for enjoying some of the films created during this distinct period of history. The Film Festival is one program of the multidisciplinary Resilience project currently taking place at the FAC through June. All the films in the festival are based off novels written by John Steinbeck. Wed. March 28 | 6:30 p.m.
Wed. April 4 | 6:30 p.m.